If that link doesn’t work, try this one. Or this one. Apologies for the visual jamming. Some corporations don’t want you to enjoy this music. In about two weeks I will have been on this planet for two-thirds of a century. One might think I’d have figured out something of significance during that time. One would be wrong. With each passing year, each passing decade, I get cluelesser and cluelesser. The only thing I have picked up on is I am what I am. Now, there’s a piece of profound drivel for you. I mean that I have succeeded in detecting some patterns in my behaviors and predilections, and as an orthodox believer in reality, I’ve come to the conclusion that I’d better get used to what I am, because it ain’t gonna change. My clothes range from solid boring blur to solid boring brown. My best friends say I’m droll and humorless. I shout only when I accidentally cause myself physical pain. And in music as well, I like the stripped down. In classical music, always chamber, never symphonic. I like to hear exactly what I’m hearing. In rock, acoustic. I hate double-tracked vocals and rattling, obfuscating cymbals. Look me in the eye and give me what you got. Here, let me show you what I mean. These are my two favorite musical videos–Rick Danko of The Band singing the divine ‘Unfaithful Servant’ and Luciana Souza singing Naftali Neruda’s ‘Sonnet 49’. Unadorned, restrained, straightforward. Glitzless. Pristine and perfect. 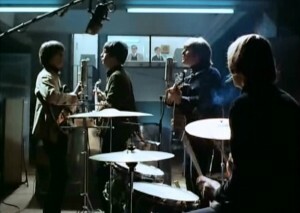 And here’s another one – The Beatles singing ‘You’re Gonna Lose That Girl’ from “Help!”. 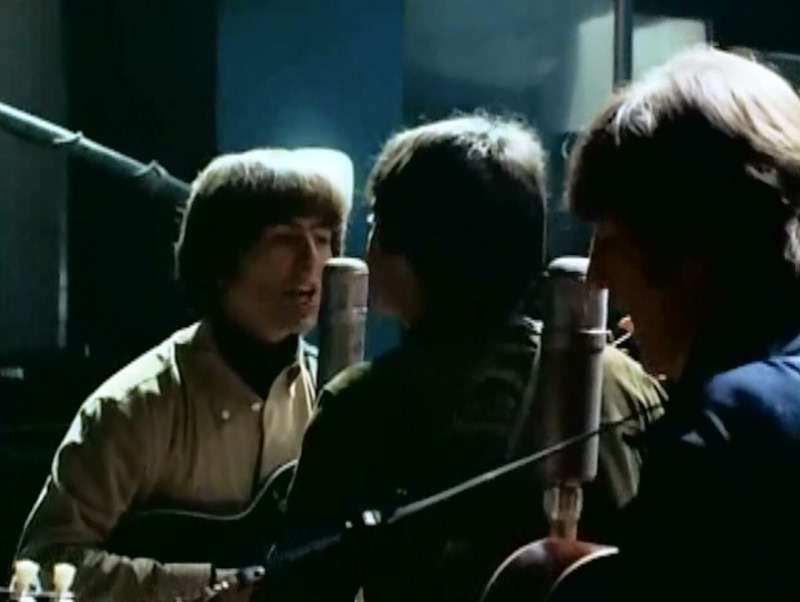 I recently rewatched The Beatles’ movie “Help!” I probably saw it twice when it was released in the summer of 1965. It was of course a tremendous letdown after “Hard Day’s Night”–unfocused, humorless, self-indulgent, flat. Still, I waited a couple of months after it was released to go see it. I wasn’t going to put myself in a movie theater with all those screaming girls. But I hadn’t seen it since. In the summer of 1965, The Beatles were on the cusp of creating a new sound in popular music. Bob Dylan had introduced them to cannabis. Their dentist had introduced them to LSD. They held the world by the huevos, and began to flex their creative muscles. They were still recording old-school covers (‘Kansas City’, October 1964; ‘Dizzy Miss Lizzy’, May 1965), new-school rockers (‘Eight Days a Week’, October 1964; ‘I’m Down’, June 1965), but also nascent, acoustic-based Rock (as opposed to Rock and Roll) – ‘I’ll Follow the Sun’ (October 1964), ‘I Don’t Want to Spoil the Party’ (September 1964), ‘Yes, It Is’ (April 1965). The “Help!” sessions included both upbeat electric cuts (Paul’s ‘The Night Before’, ‘Another Girl’; John’s ‘Ticket to Ride’). John’s ‘Help!’ was unfortunately upbeated and electrified – he later expressed regret at that – a rare Beatles misinterpretation of their own material (the other notable example being ‘In My Life’). But one must remember that popular music of the day rarely strayed from boy-meets-girl, and ‘Help!’ was perceived at the time as Revolution #1, a harbinger of The World, It Is A-Changin’, a (whisper the word furtively) protest! 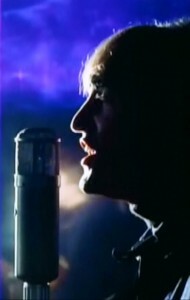 ‘You’ve Got to Hide Your Love Away’ was widely recognized as the first unabashedly Dylanesque Lennon song. What else was on the album? Several more experiments in directions that later became genres. ‘I Need You’ was an early prototype for George’s Eastern journeys. ‘Act Naturally’, too easily dismissed as a trifle, was in fact a groundbreaking homage to Nashville; a step later came ‘What Goes On’, “Nashville Skyline” just a couple of steps beyond that. The monolithic ‘Yesterday’. Whatever The Beatles of early 1965 touched turned not just to gold. Each cut became a template for music as it is still being made half a century later. But me, of course, I gotta get weird about it all. Rather than all those myths-as-they’re-being-recorded, I will by default choose to listen to ‘It’s Only Love’ and ‘I’ve Just Seen a Face’, the two cuts that were saved in American for “Rubber Soul”, which for my two cents is a more natural environment, the place they really belong. 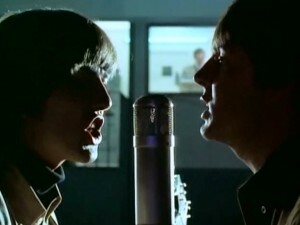 For me, the song that most represents “Help!”, the natural apex of the first incarnation of the Beatles, ‘You’re Gonna Lose That Girl’. I think it almost slips unnoticed among all those flashier jewels. 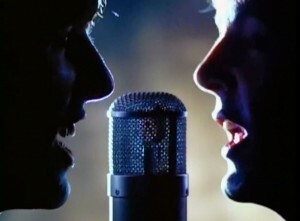 It’s the culmination of everything that went before it – from ‘Please, Please Me’ to ‘A Hard Day’s Night’ to ‘I Feel Fine’. There’s nothing unique about ‘You’re Gonna Lose That Girl’ (except that Ringo plays bongos and the intro is an ear-gnashing eighth tone lower than the body of the song). It’s merely the perfect early Beatles song. Stretching a point, it’s the perfect place for rock and roll to end and Rock to begin. So when I recently rewatched this clip of ‘You’re Gonna Lose That Girl’ from “Help!”, I realized I hadn’t really learned anything over those 50 years. I understand now exactly what I understood as a silly, snobbish 17-year old, exactly the same thing that a bejillion screaming 12-year old girls understood – that The Beatles were the coolest humans ever born, making the finest music of our times. Good posting. Very readable. I just disagree. I guess you can cut the Beatles into periods a number of ways with Rubber Soul and Sargeant Peppers being the big transition albums but I tend to think of them, roughly, as having three periods. The early stuff like She Loves You and I Want To Hold Your Hand. It doesn’t hold up that well. Then there’s a middle period with their greatest songs and Eight Days a Week is one of them. Day Tripper. She’s A Woman. Then Sargeant Peppers. For me, they’re all good but when I think about it I think the middle period was best. I was surprised to see you say that you didn’t like the way Help! was produced. I thought it was great. I listened to Noel Gallagher’s acoustic version and while it’s a great song it just doesn’t compare. I never thought of the Beatles, collectively or individually as cool, though after reading the book Birth of the Cool, I’m not sure that I even believe in the concept. 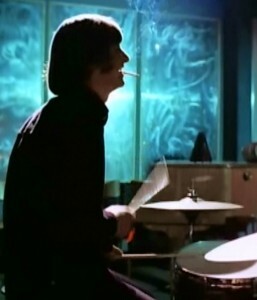 There are more or less unpretentious people, more or less spontaneous, unself-conscious people, etc… John is usually considered the coolest Beatle I think. But he never struck me as particularly unpretentious or unself-conscious. Same with Paul and George. Maybe Ringo, though he was lacking in other elements. Together they made great music, though. No disputing that. I think that their greatest trick was that at the same time as they were making amazing, groundbreaking music, on another level they didn’t take themselves too seriously. And that’s the trick that’s hard to emulate. Collectively they had a great sense of humour and that included laughing at themselves. Ahhhh the Beatles….. It’s so easy to dismiss them 50 years later, especially the early stuff when music has changed so much. Not necessarily better…just changed. And it could be challenged to say that had the Beatles not changed music someone else might have. But they didn’t. I also need to point out that these British lads were young and from unassuming backgrounds. Never, ever did I think they were pretentious or full-of-themselves. In fact these young men were smart enough to perceive the absurdity of the adulation and the irony of it all. And I think they especially viewed their music in the same way. Not that their love of music wasn’t strong but I imagine they were surprised at how important it was and would be.They were kids having fun! But it became this much bigger thing. Almost ridiculously. And they knew it but not one of them became Bigheads. To this day Paul McCartney seems just like a regular guy when I see him playing with BigheadKayne and others. No diva doing. My twenty-plus year old sons recently got the Beatles bug and it was fun for me to hear them debate favorite Beatle albums. They love the early stuff, which is remarkable and telling. It IS great. Still. I think us….ummm older fans….are just so used to hearing it and all that came after it in order that we take it for granted. Don’t. And what a great world it was when four silly unassuming and unpretentious guys could unintentionally change the world. God bless them. Even “She Loves You”, the movie “Help!” and “You’re Gonna Lose That Girl”. But I think my favorite might be “I’ve Just Seen A Face”. That will change tomorrow.Thanks for the conversation Jeff!! Happy birthday!! !